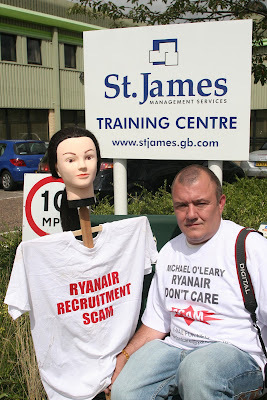 Ryanairdontcare Campaign have been contacted by a young student wishing to become a cabin crew. Road ,Love Lane, Cirencester are holding assessment day on 14th August 2012 in Stansted. I applied for a position with Ryanair a few weeks ago and i am meant to attend an interview/assessment day on the 14th at Stansted. I came across your website today and now, while grateful I found it because I've been saved from a horrible situation I am also gutted because I thought this was finally my chance to have the career I've always wanted. So thank you for saving me. I'm glad I found your blog now rather than later when it was too late. I've decided to give the assessment day with ryanair a miss and try a different airline when they're next recruiting, maybe British Airways, or someone who is equally as good. Thank you again for your blog and stopping me from what I am now sure would of been a terrible life choice. 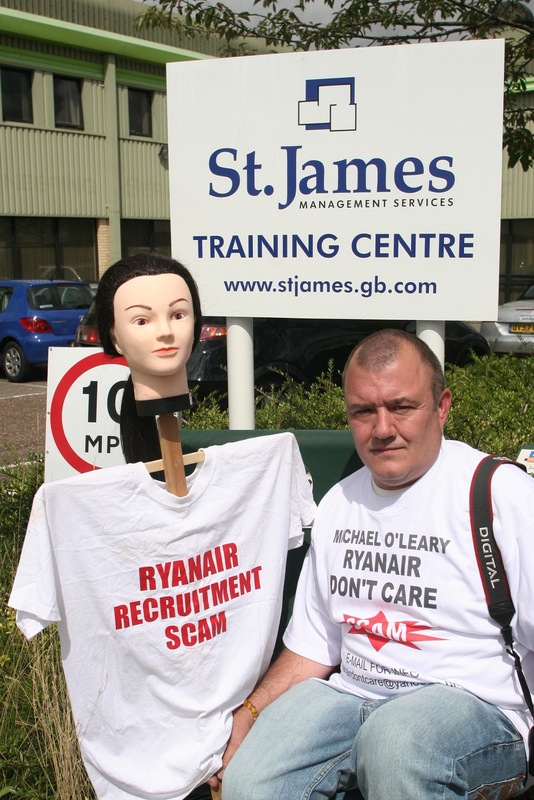 I can confirm Ryanair have 15 cabin crew recruitment days August 2012. I can confirm Easyjet have no cabin crew recruitment days August 2012. No charge.Easyjet pay you to train. 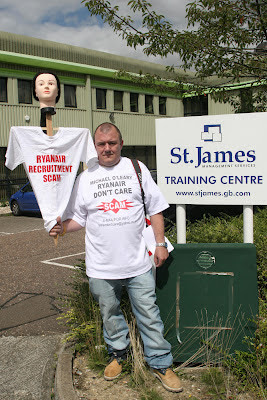 Photos below first protest outside Scammers StJames Management Bishops Stortford in 2009.